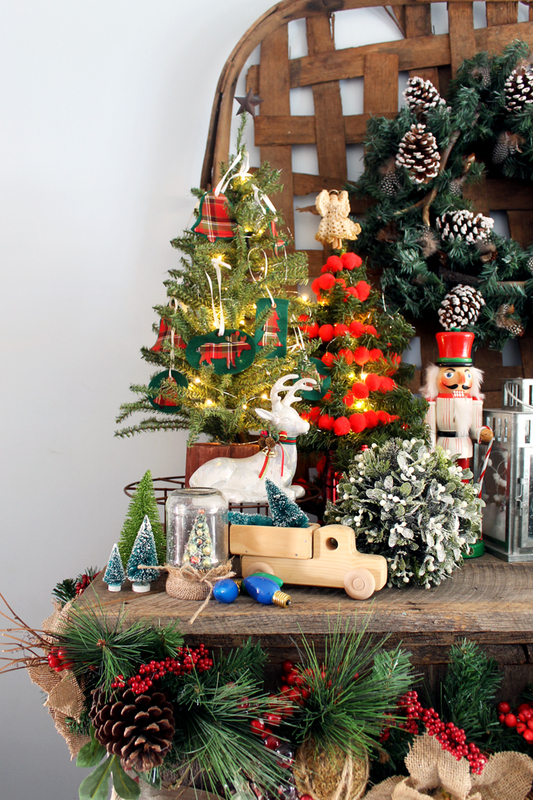 Welcome to my farmhouse style Christmas home tour. I thought I would give you a peek into our holiday home. 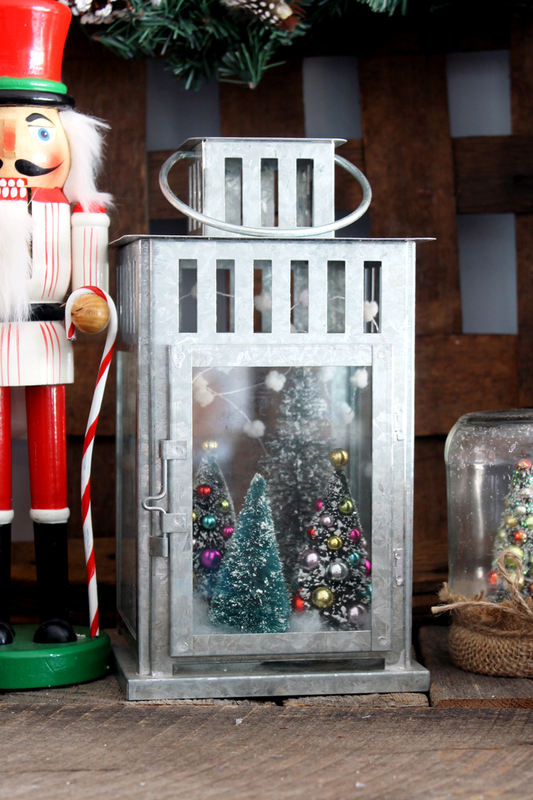 After all, we all love seeing beautifully decorated homes for Christmas….right? I know I do! So sit back with a cup of coffee and the many images below. I hope y’all enjoy! 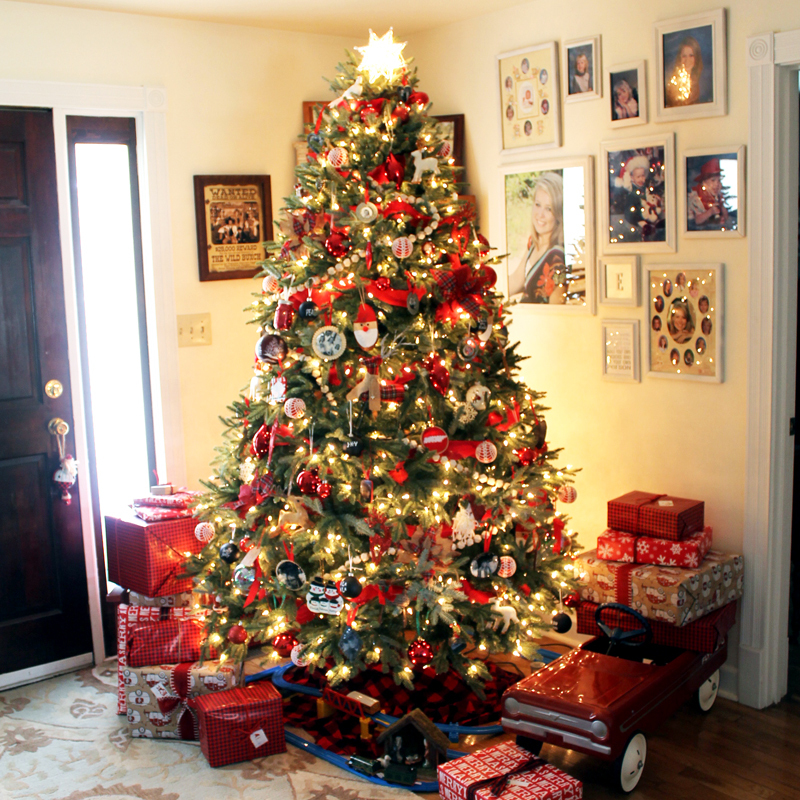 We are going to start with the tree which is all done up in red and black. 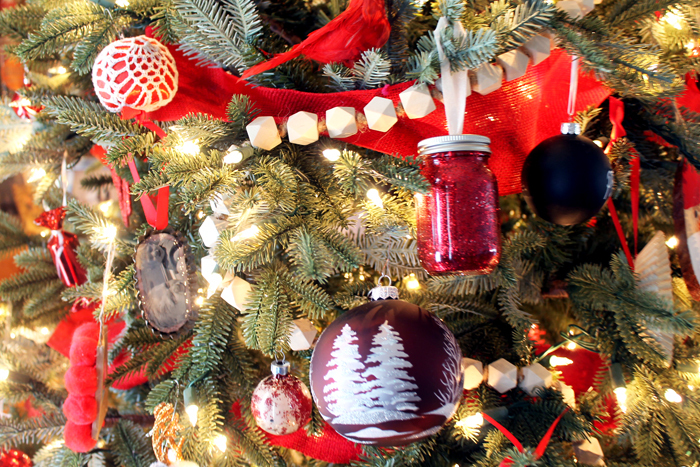 I love buffalo check plaid and decided that should be the theme of my tree. 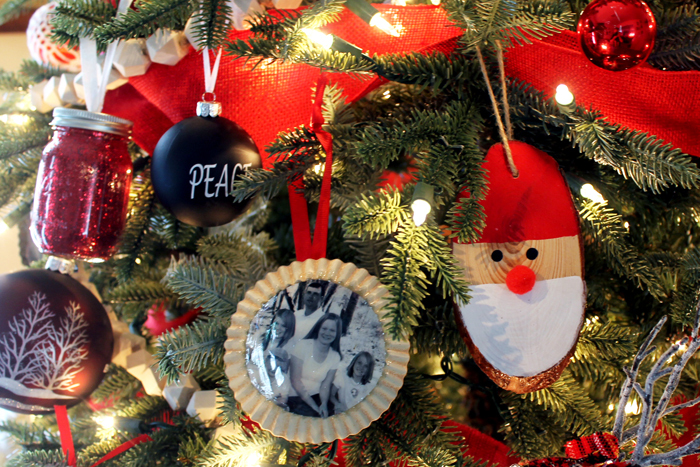 One tip is to think outside of the “ornament” box for other items you can add to your tree. 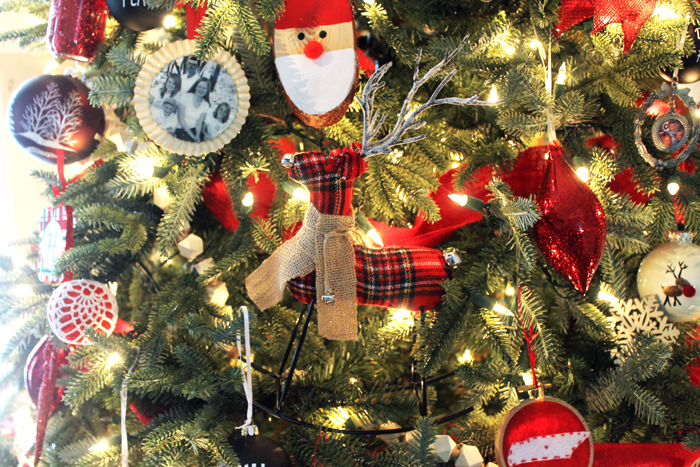 This plaid reindeer is just wired onto my tree but he makes a very handsome addition. I also love this string of faceted wood beads. It is just a little different than traditional wood bead strands. My mini mason jar ornament is also hanging here. 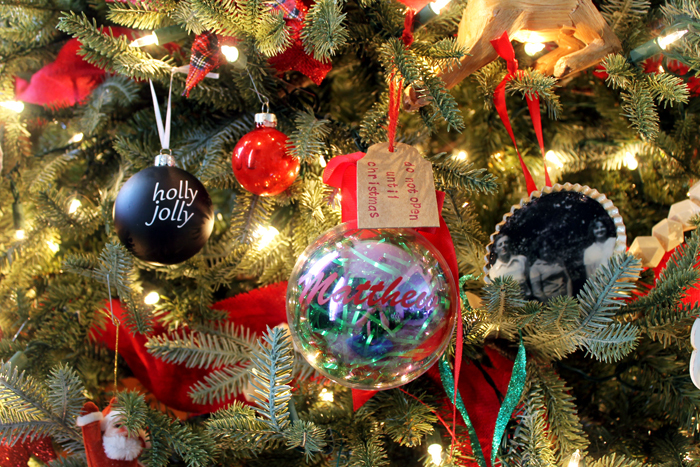 I love adding my family tree ornaments to my tree every single year. 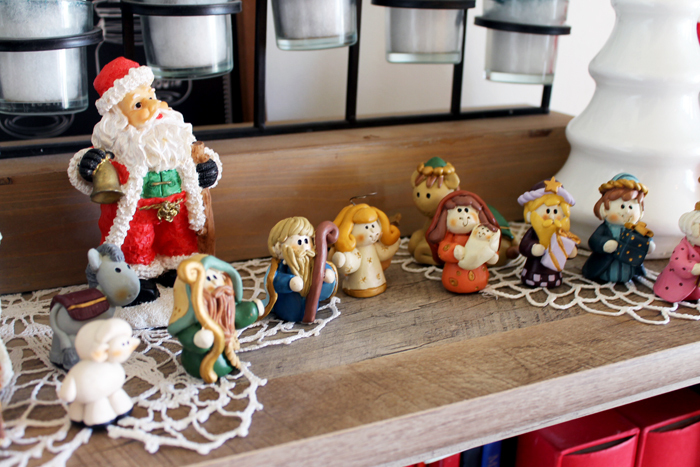 The wood slice Santas also have made a festive addition. Also if you have not tried this fingerprint reindeer, it is not too late! 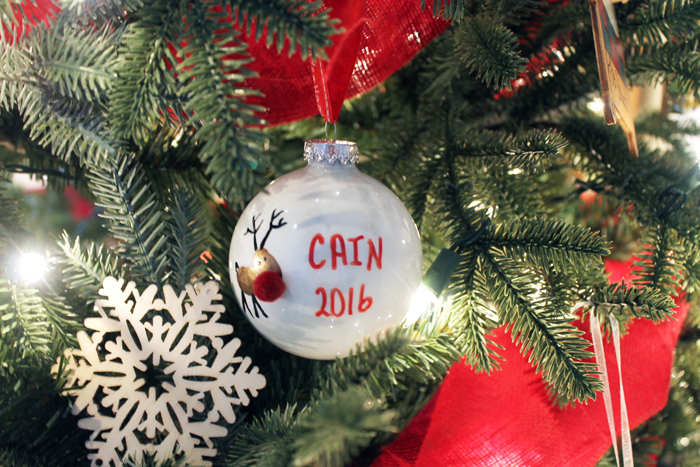 Capture those little fingers onto a one of a kind ornament. I also added on these fun money gift ornaments. The kids have no idea what is inside! 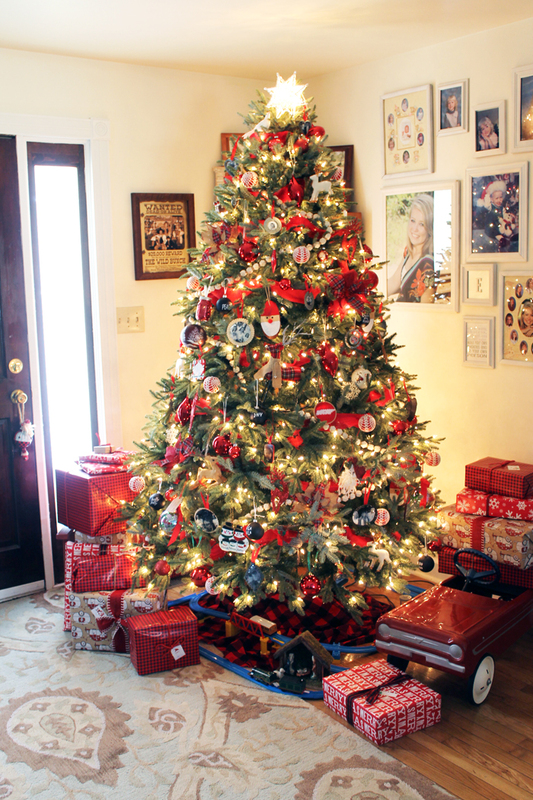 Under the tree are presents wrapped in red and black wrappings. I am in love with this wrapping paper that I ordered from our local school fundraiser. If anyone finds it online, please put a link in the comment section! I cannot find it anywhere! 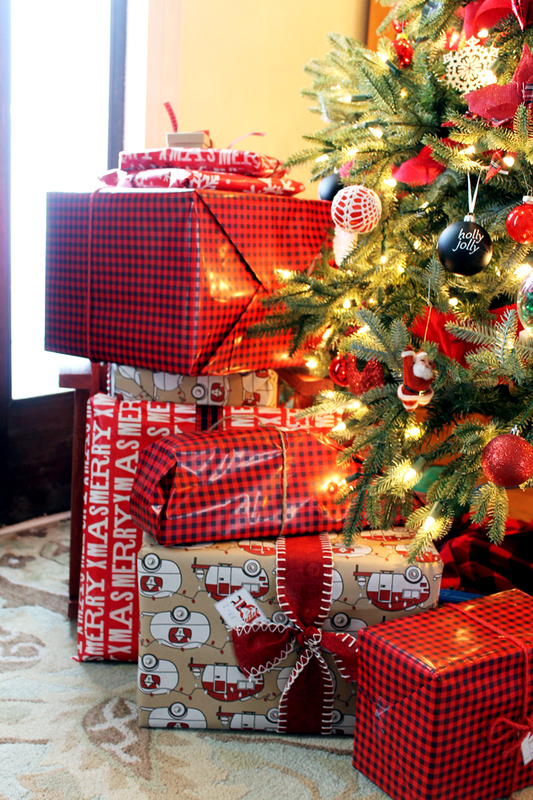 I also stacked some presents in our vintage red car. 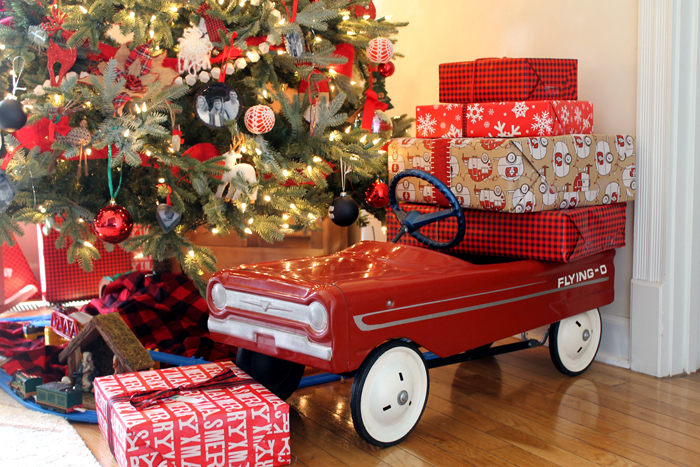 This car was my husbands when he was small and makes an appearance under our tree every year. 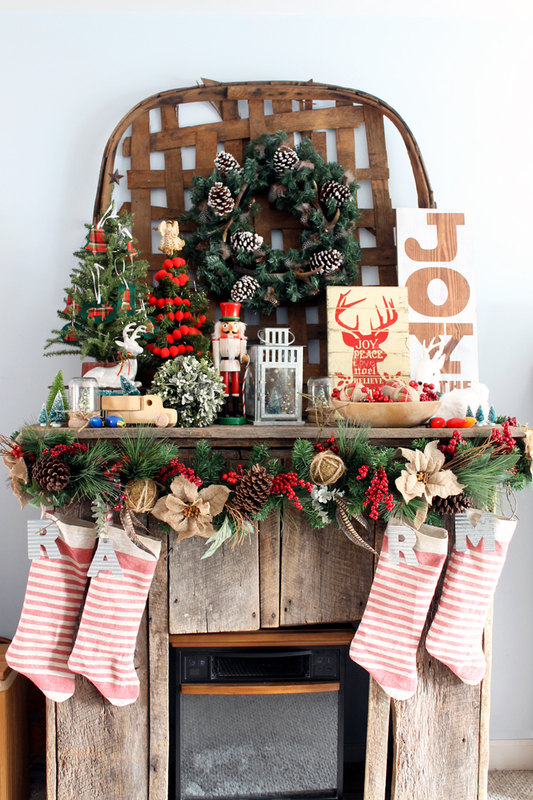 I also added some Christmas decor to our barnwood mantel. 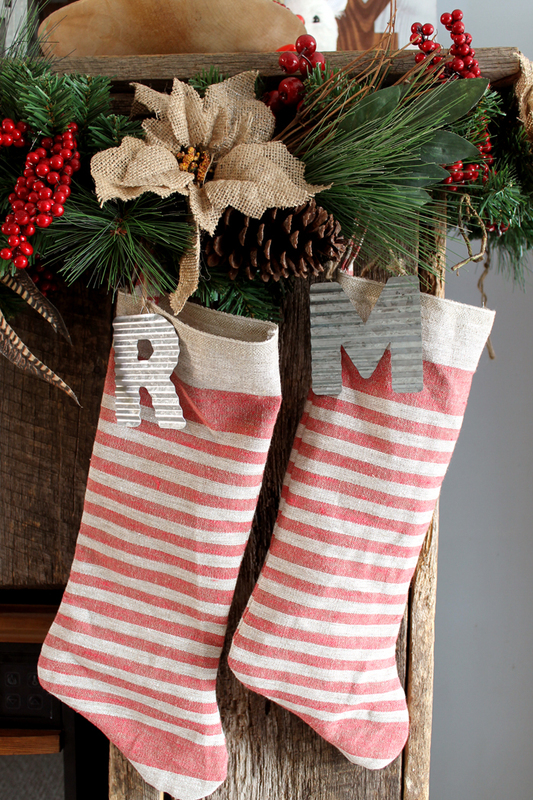 My favorite project is our new stockings! I used a vintage grain sack fabric that I found on eBay. You can look for your own version by searching here. I used our old stockings to create a pattern then sewed them up. They are marked with galvanized metal monograms that I picked up from Walmart. They make me so happy every time I look at them. I also added a few small trees to my mantel with some battery operated lights. One of them has my plaid ornaments from last year. I can never resist adding some bottle brush trees to some of my son’s toys! It is just too perfect! 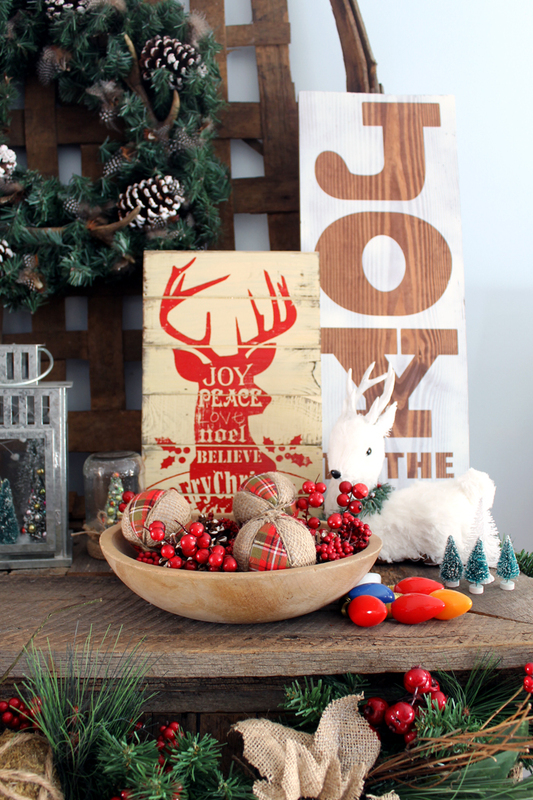 My burlap and plaid ornaments are in a bowl on the other side along with my JOY sign from last year. I also added some small bottle brush trees to a lantern. I love this look! 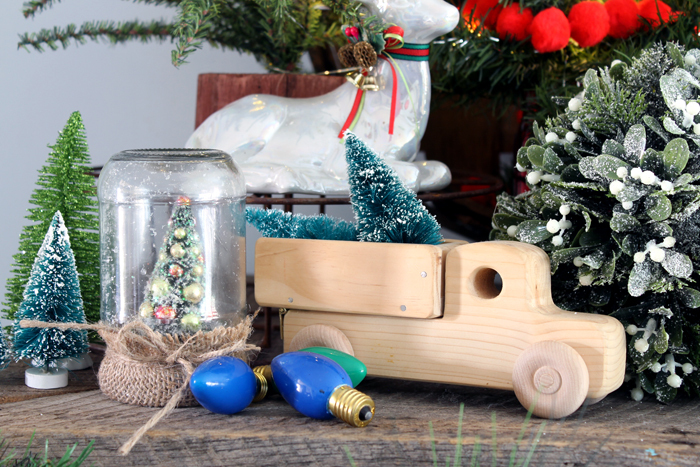 You can click here to see those bottle brush trees with the ornaments. The star of my mantel is that huge vintage tobacco basket. I have been wanting one for years and love having one in my home. I hung my feathers and antlers wreath in the center as well. I decorated a few other surfaces in my home as well. 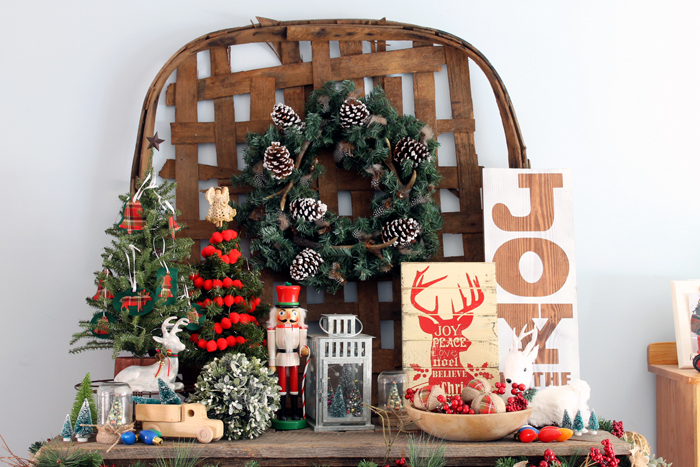 A little farmhouse style Christmas cheer in every room of the home is good for the soul. This nativity scene was a find from over 20 years ago and I still display it every year. It is just precious! 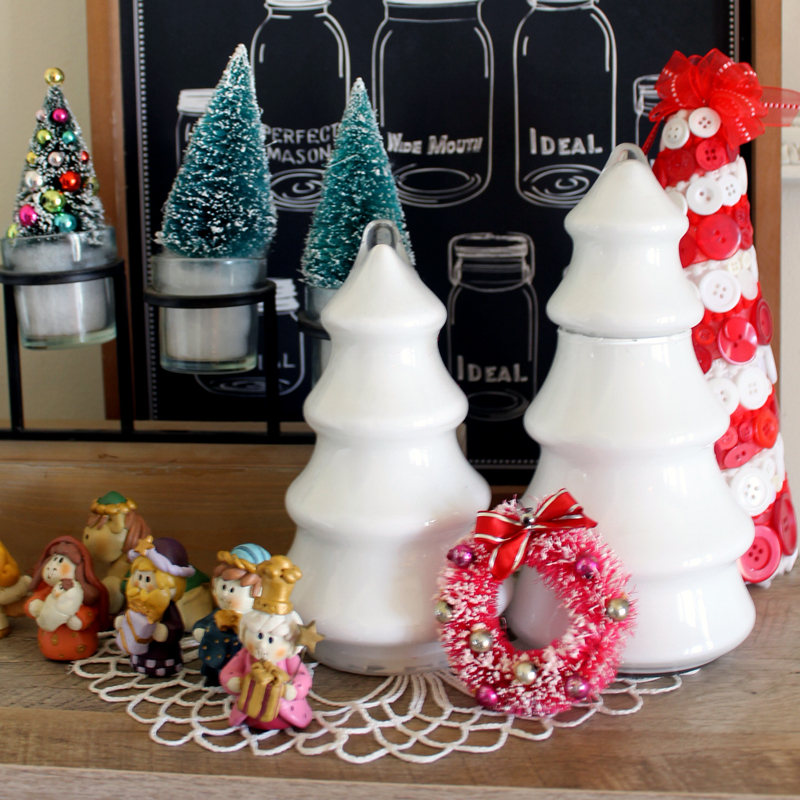 You can click here to see more about those milk glass trees and here to see the candy cane button tree. 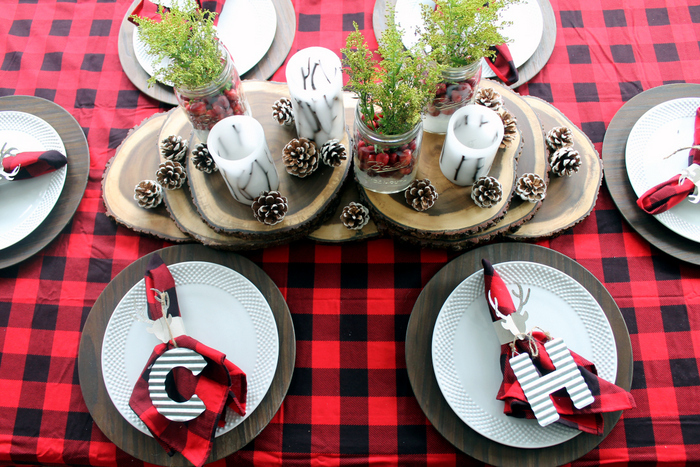 You can also click here to see all about my Christmas plaid table. I love how this one turned out! I hope you enjoyed this farmhouse style Christmas tour. I enjoyed showing you our holiday home! all is just beautiful. thanks for sharing. Love your tree and the decorations,simply beautiful,like your sons toys very seasonal. 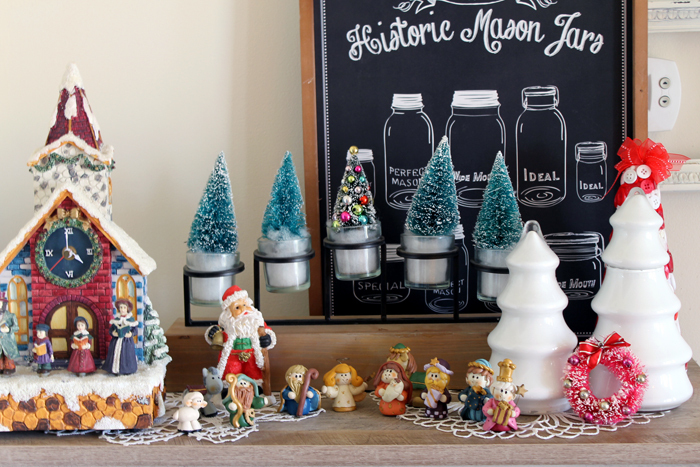 Love the ornaments from your diy. I see ribbon on all of your packages. Take a break! No rest this time of year! What a beautiful Christmassy home! It looks wonderful! Just popped over from Pinterest and everything is just beautiful!